“These results underscore the urgency of developing new and better strategies to create disease modifying therapies for Alzheimer’s. 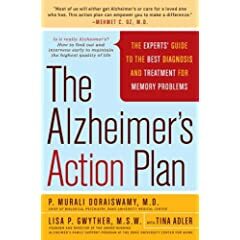 In addition, for public health purposes, we need to know how many people are cognitively impaired and potentially on the road to Alzheimer’s,” Petersen added. As the field of Alzheimer’s research moves toward earlier treatment and ultimately prevention, it becomes necessary to identify patients at the earliest point in the disease. Mild Cognitive Impairment (MCI) is the term used to describe the intermediate state between normal aging and the very earliest features of Alzheimer’s, but its frequency in the population is not known. Ronald C. Petersen, MD, PhD, and colleagues at Mayo Clinic, Rochester, MN, are conducting the Mayo Clinic Study of Aging, which is a longitudinal study of people ages 70 to 89 from Olmsted County, Minnesota. One of the goals of the Study is to follow healthy subjects over time to detect the earliest point of cognitive impairment. In 2004, the researchers recruited 1,786 people who were found to be cognitively normal, and reevaluated them a year later. All subjects underwent a baseline evaluation including an interview of the subject and their study partner by a nurse, a cognitive assessment, and a neurological exam by a physician. Individuals in the study developed MCI at a rate of about 5.3 percent per year, and this rate was higher with advanced age – about 3.5 percent per year for 70-79 year olds and about 7.2 percent per year for 80-89 year olds. Men were nearly twice as likely to develop MCI as women. This is from a press release from the Alzheimer’s Association International Conference on Alzheimer’s Disease 2008. “Twelve weeks of AL-108 treatment given intranasally by spray resulted in a statistically significant, dose-dependent and durable improvement on measures of short-term memory, including visual, verbal, and auditory working memory, which is a type of memory function that deteriorates throughout the progression of Alzheimer’s,” Schmechel said. “This makes AL-108 the first drug to validate in humans the importance of the ‘tangle’ or ‘tau’ pathway in Alzheimer’s. Based on these results in MCI, there are plans for further development of AL-108 in Alzheimer’s,” Schmechel added. MCI can be divided into two broad subtypes. Amnestic MCI (aMCI) significantly affects memory, while nonamnestic MCI does not. Other functions, such as language and attention span, may be impaired in either subtype. Persons with aMCI convert to Alzheimer’s at a much higher rate than the normal aging population. Donald Schmechel, MD, Adjunct Professor of Medicine (Geriatrics), Professor of Psychiatry, and Associate Professor of Neurobiology of Duke University Medical Center, Durham, NC, and colleagues conducted a Phase IIa clinical trial of AL-108 (Allon Therapeutics), an experimental therapy designed to combat neurofibrillary tangles (NFT). NFT are one of the early key abnormal brain changes in aMCI and Alzheimer’s. AL-108 is a nasal spray formulation of an eight amino acid peptide, known as NAPVSIPQ, derived from the neuroprotective protein Activity-Dependent Neuroprotective Protein. The trial was a double-blind, randomized, placebo-controlled study to evaluate the safety, tolerability and effect of two doses of AL-108 after 12 weeks of treatment (low dose=5 mg daily, high dose=15 mg twice daily). The study was open to men and women, age 55-85 years (inclusive, mean age=69.4) with Mini-Mental State Exam scores ≥24, self-reported memory complaint corroborated by spouse or companion, and Wechsler Memory Scale III (WMS-III) age-adjusted Logical Memory II score ≤5. One hundred forty-four (144) subjects were randomized at 16 centers in the U.S. Cognitive tests were conducted four weeks prior to drug administration, and then at baseline, four, eight, 12, and 16 weeks. The primary endpoint is a change from baseline at Week 12 in a composite score that focuses on measures of memory. Secondary efficacy endpoints include analysis of the change in the individual cognitive tests as a function of both treatment and length of treatment. High dose AL-108 gave a statistically significant improvement in the delayed match-to-sample test (DMTS 12s). After four weeks, a 34.2 percent change from baseline (p=0.067, versus placebo) was seen; by Week 16, a 62.4 percent improvement from baseline was observed (p=0.038, versus placebo), showing a durable response four weeks after treatment ended. An improvement on the digit span forward test of the high dose group became statistically significant at Week 8, with an 11.2 percent change from baseline (p=0.032, versus placebo), and remained significant at Week 16 with an 11.7 percent change from baseline (p=0.052, versus placebo). The low dose AL-108 was not different from placebo. AL-108 was well tolerated with similar rates of adverse events (AEs) in placebo and AL-108 treated subjects. The most common AE was headache which occurred at a rate expected in this patient population. No serious AEs were associated with AL-108.